Over three million people living with HIV/AIDS in the developing world receive antiretroviral therapy (ART). However, the medicines and diagnostic tools available are inadequate to respond fully to their needs. In addition, seven million people are in need of treatment and are still waiting for access. The public health approach to treatment in resource-limited settings has enabled significant scaling-up of treatment - thanks to fixed-dose combinations and to the lower prices of first generation treatments. But this approach has also come at the cost of compromise. For example, stavudine-containing regimens, no longer recommended in well-resourced settings because of side effects, are still widely used in resource-limited settings. In addition, clinical algorithms and CD4 counts are still common methods to diagnose treatment failure even if these have proven to be unreliable. In most resource-poor settings, since viral monitoring is not available, patients and medical staff are only alerted to resistance when patients suffer from opportunistic infections. This is no longer acceptable medical practice. It is now time to invest in improving the public health approach. Treatment scale up must continue so that more people in need receive treatment and care. Support for universal access to treatment has been repeatedly confirmed by the international community. Clearly, the promise of universal access cannot be abandoned when only 30 percent of those in need have been reached. At the same time, ambitions must be expanded for those already on treatment to increase their chances of long-term survival. If we do not respond to evolving medical practice with improvements in drugs and monitoring, we will be guilty of maintaining a sub-optimal status quo. Khayelitsha, home to 500,000 people, is a township located on the outskirts of Cape Town and has one of the highest HIV prevalence rates in South Africa. 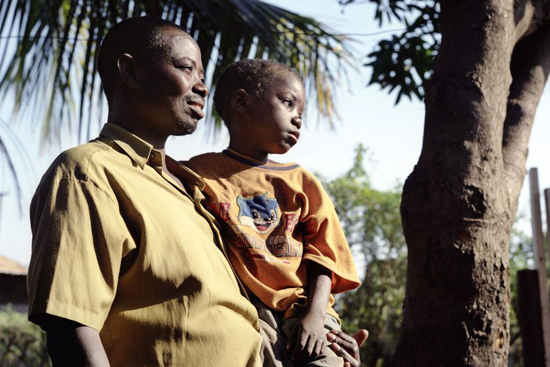 The country has the greatest number of people living with HIV/AIDS in the world. The majority of the population lives in informal housing and there are alarming rates of poverty, unemployment and crime, including sexual violence. Antenatal HIV prevalence stood at 22.0 percent in 2001, and at 32.7 percent in 2007. The TB incidence rate reached nearly 1,600 per 100,000 in 2006 and TB/HIV co-infection is nearly 70 percent. 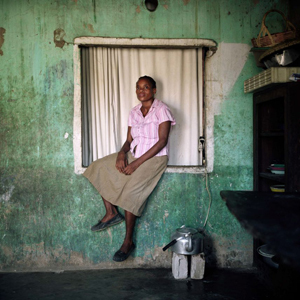 By the end of 2007, AIDS treatment was being provided in Khayelitsha as a routine government service, with limited support from Médecins Sans Frontières (MSF). Between 2001 to 2008, 12,000 people with HIV/AIDS started on ART. This is one of MSF’s longest running AIDS treatment projects. The Khayelitsha AIDS treatment programme benefits from the relatively strong healthcare infrastructure in South Africa and has an extensive monitoring and data collection system. Patients are prescribed either nevirapine (NVP) or efavirenz (EFV), with stavudine (d4T) and lamivudine (3TC) as a firstline regimen. A CD4 count is taken at the initiation of treatment and every six months thereafter. Viral load is done at six months and every six months after that. An analysis of 7,323 people on ART from 2001-2007 shows relatively good long-term results. The cumulative estimate of mortality based on clinic-held data was 15.5 percent at five years. Patients still on treatment were tested at one, three and five years, and found to be virologically suppressed at rates of 87.5 percent, 88.1 percent and 83.8 percent respectively. At five years, 16 percent of patients had thus failed first-line treatment. Patients who switched to second-line treatment earlier were less likely to be virologically suppressed, with almost 25 percent failing at two years. In this analysis, failure was defined as two viral load measurements above 5,000 copies per ml. The most common reasons for failure were treatment interruptions, exposure to nevirapine from prevention of mother-to-child transmission, and low baseline CD4 count. Of those failing virologically, fewer than 20 percent had a drop in CD4 count and would thus not have been detected by CD4 count alone. The Khayelitsha project shows that as more people live longer on antiretroviral drugs, inevitably a substantial number of patients will develop resistance and subsequent treatment failure. These people need timely diagnosis of treatment failure and treatment options that respond to their needs. To continue reading this report, download the PDF or view it online.